Home » MyBnk wins a Guardian Charity Award! MyBnk wins a Guardian Charity Award! 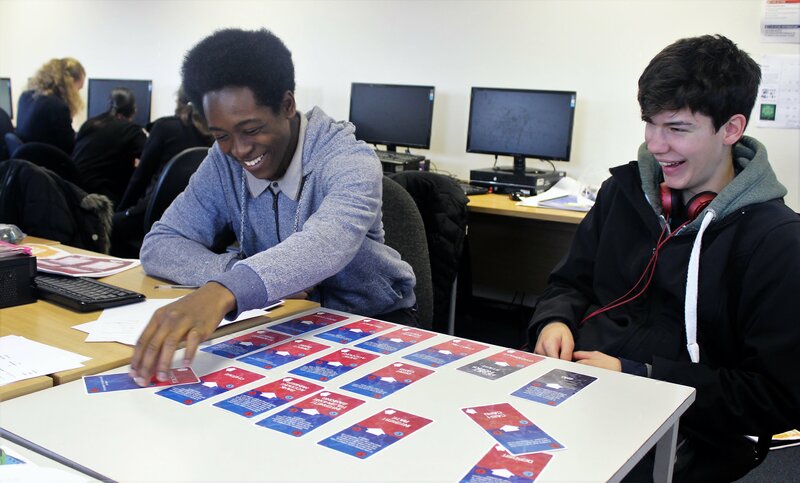 MyBnk has won a national award for our work helping young people manage their money and start their own enterprise. We were one of just five charities chosen from nearly 1,000 entries across the UK. Judges were wowed by our financial and enterprise education programmes for 11-25 year olds in schools and youth organisations. They were also impressed by our projects with vulnerable young people, consultation work, youth participation policy and growth. Read all about it, along with a new frontline video, in today’s Guardian. We have also written a blog for The Money Advice Service and will appear on BBC Radio 1 tonight at 9pm delivering some festive money tips! Guy Rigden, MyBnk CEO, accepted our trophy at The Guardian’s headquarters in London, along with Oscar Njea-Nzo Asewandor, a member of our Youth Advisory Panel, and Jane Rawnsley, Group Head of Corporate Responsibility, of long term MyBnk supporter, Prudential plc. It’s a hat-trick for the awards cabinet and a fantastic springboard as we enter for our 10th year. Exciting new projects include The Money House programme for young tenants, our expansion to Primary Schools and the Isle of Man and the integration of digital skills into our intervention and employability workshops. We even got to meet Sir Ian McKellen! It is is also a recognition of the amazing progress of financial education in society as a whole. Financial literacy is now at the forefront of the life skills agenda with increasing support from civil society, industry and state via The Money Advice Service’s Financial Capability Strategy for the UK. A big thank you to all our young people, funders, partners, teachers, youth workers, Trustees, Patrons and the MyBnk Team on a fantastic achievement! Join in the fun as we celebrate on Twitter! To help us provide you with the latest MyBnk updates and offers, please complete the following to receive targeted information on our work. General news and how to support our work Details on funded workshops and new free resources Details on corporate partnerships or volunteering opportunities.